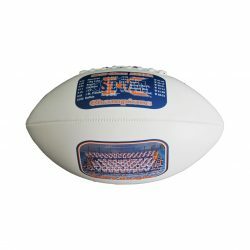 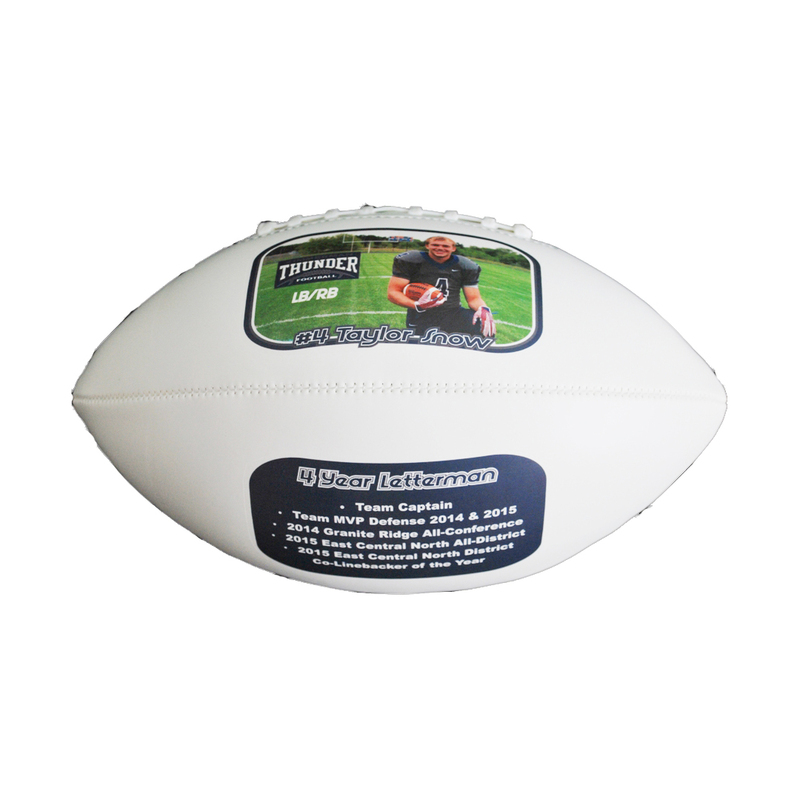 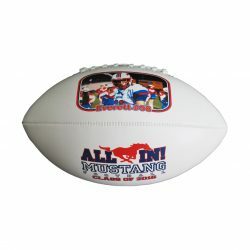 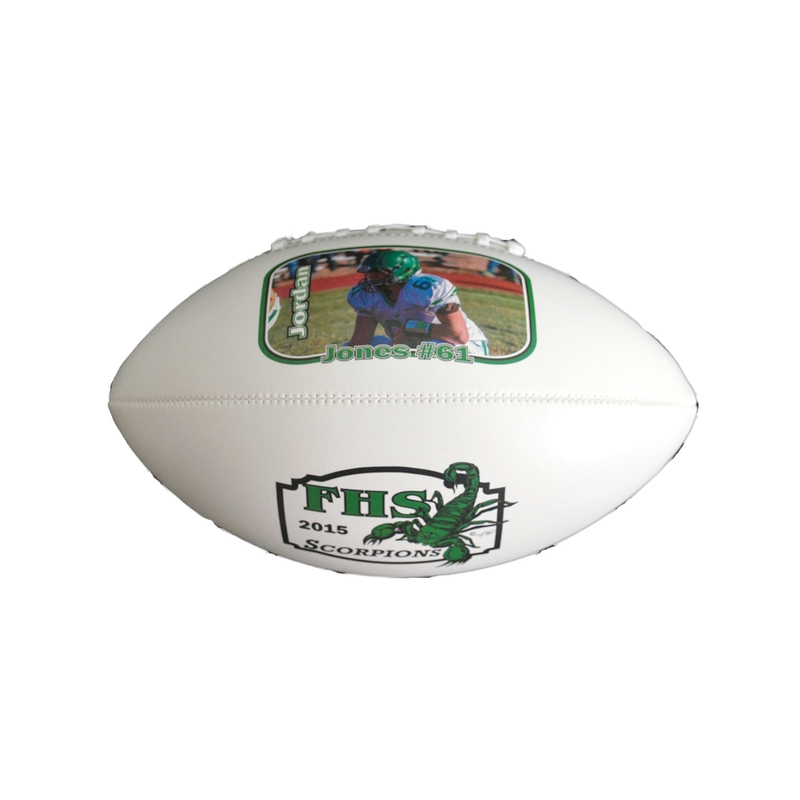 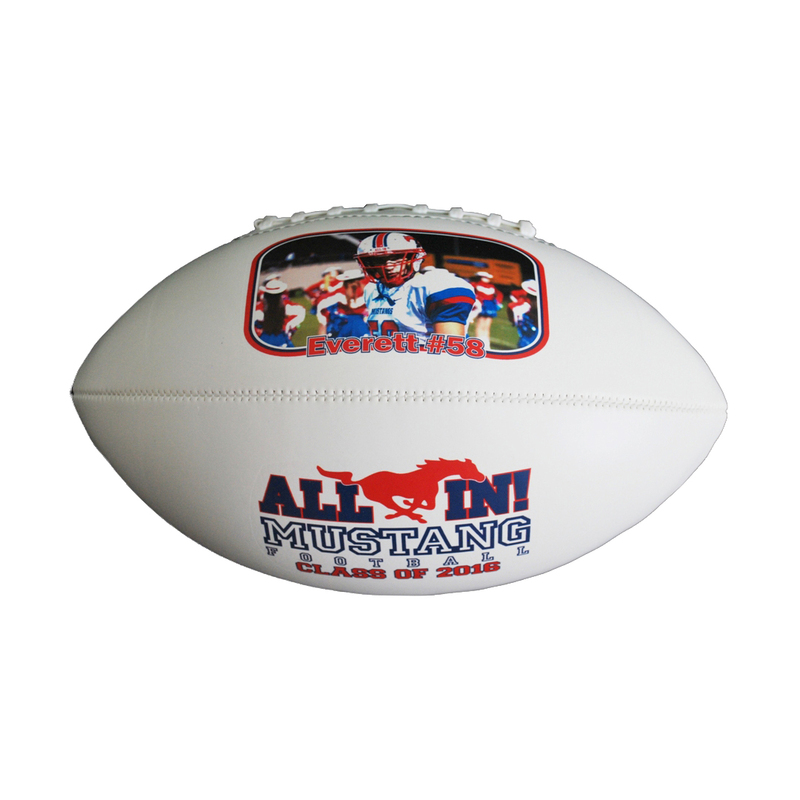 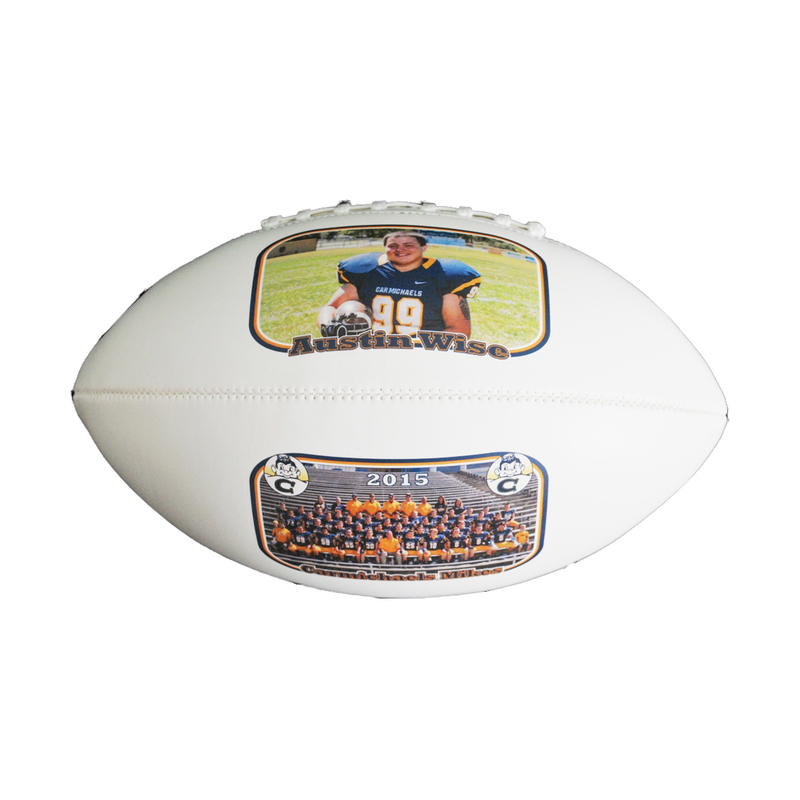 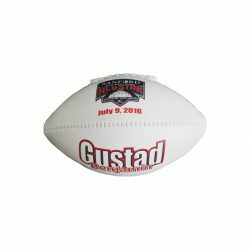 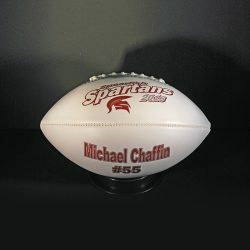 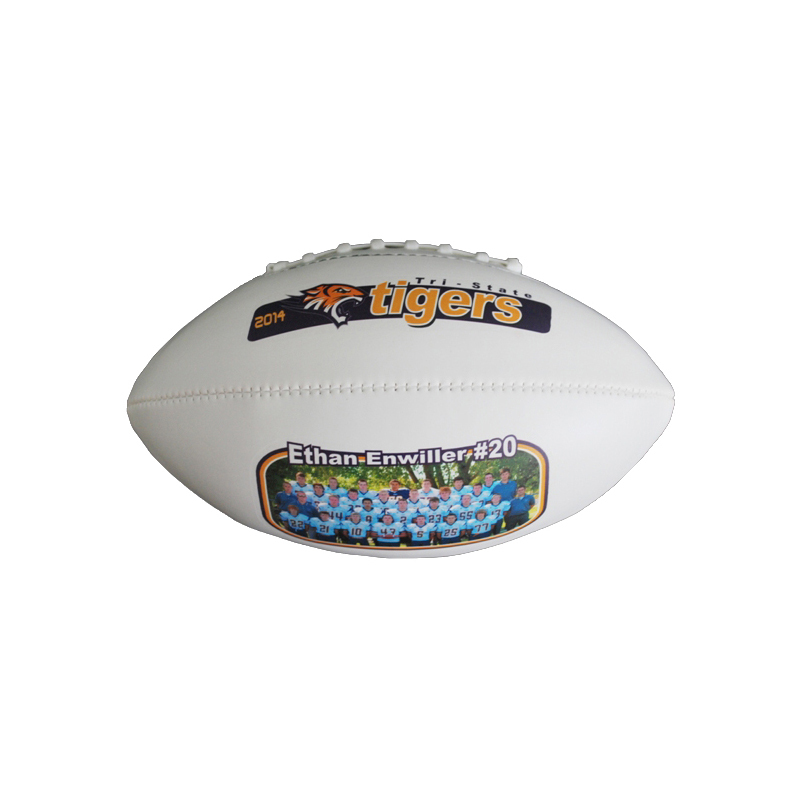 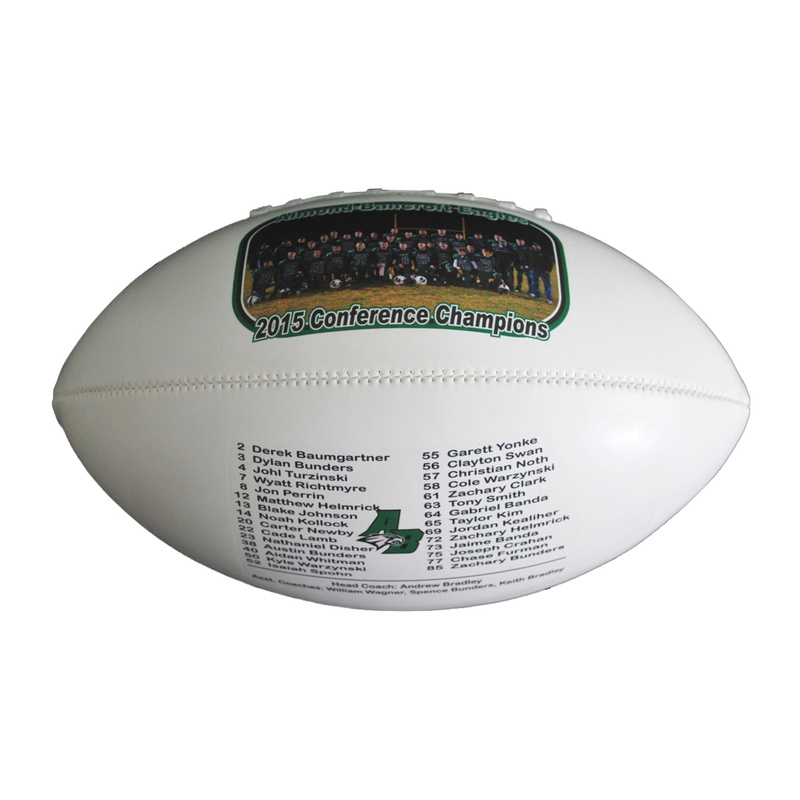 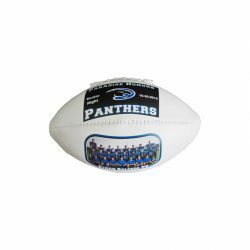 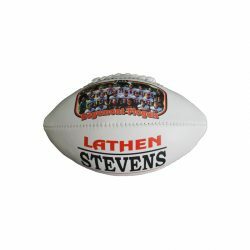 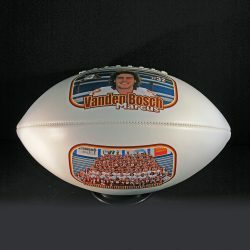 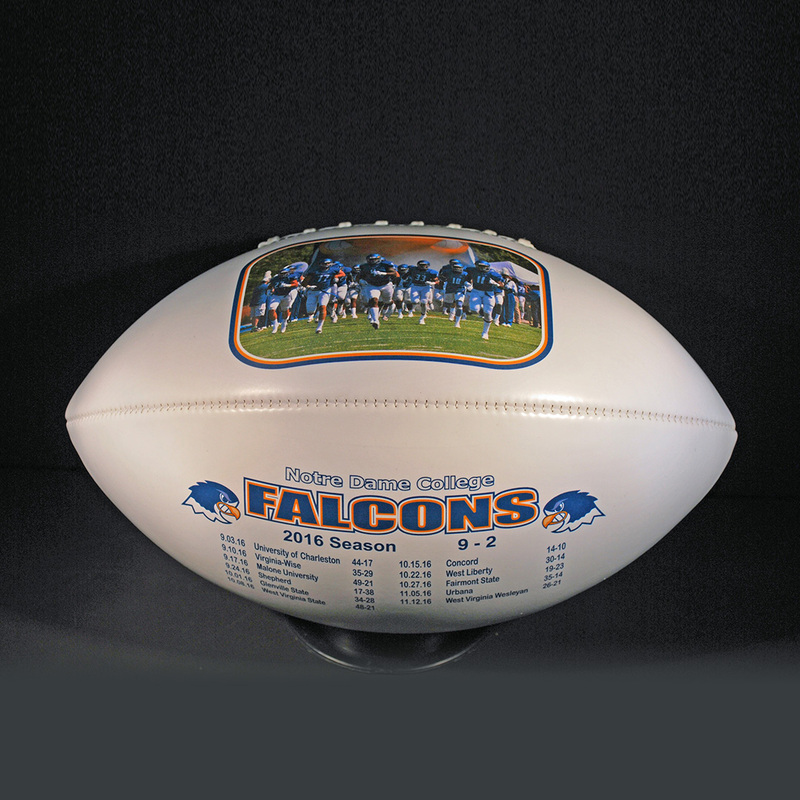 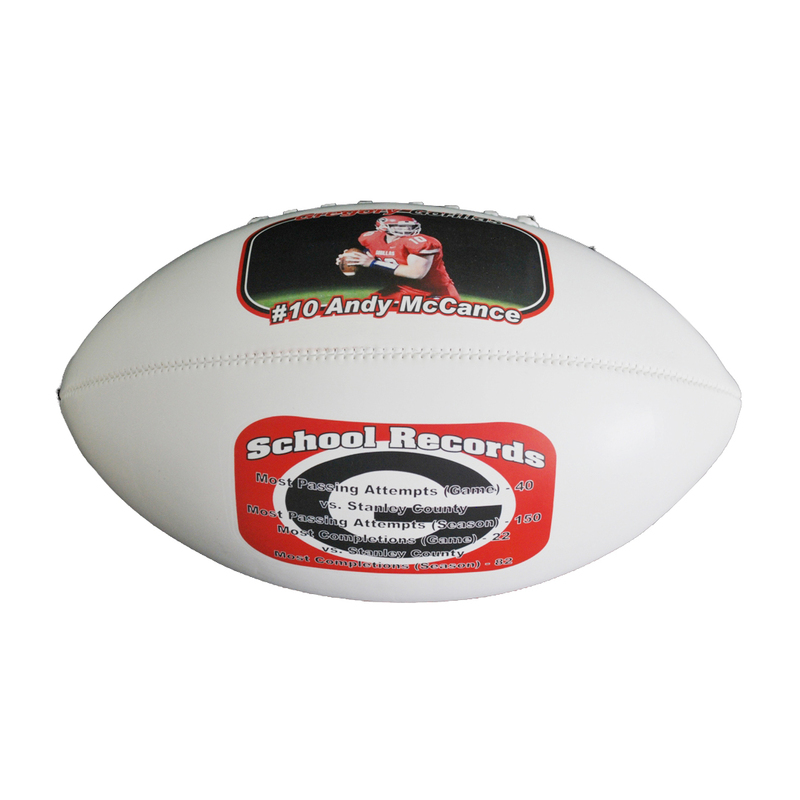 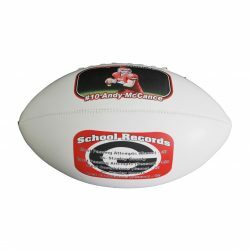 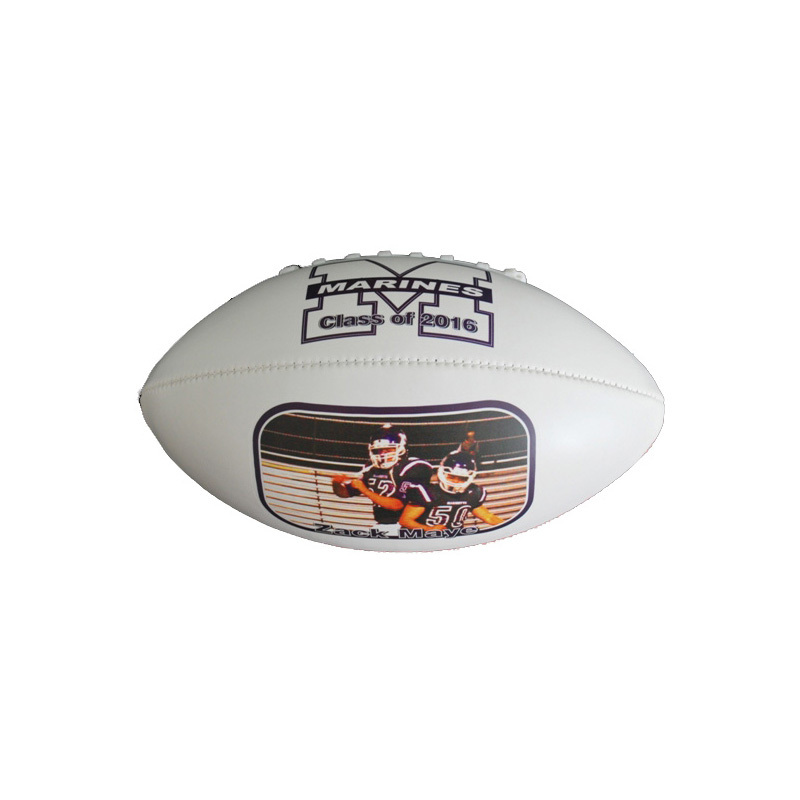 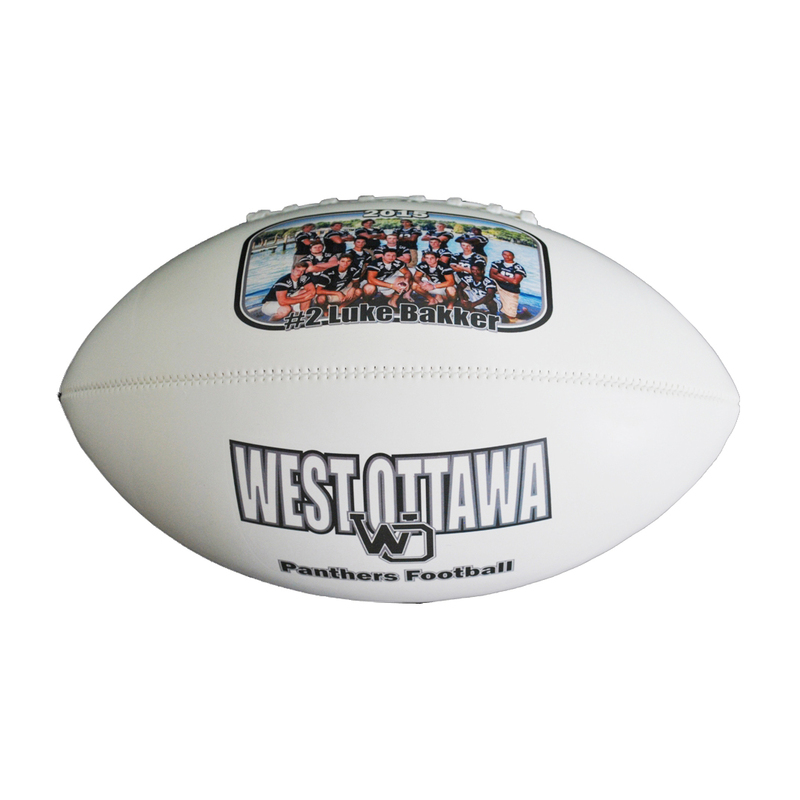 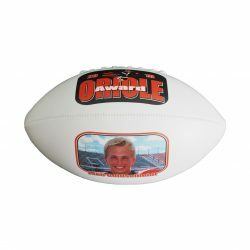 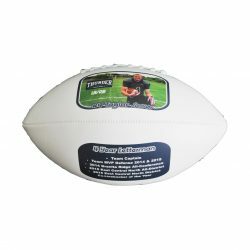 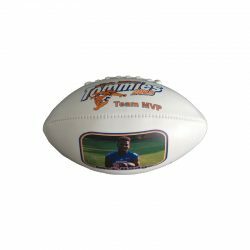 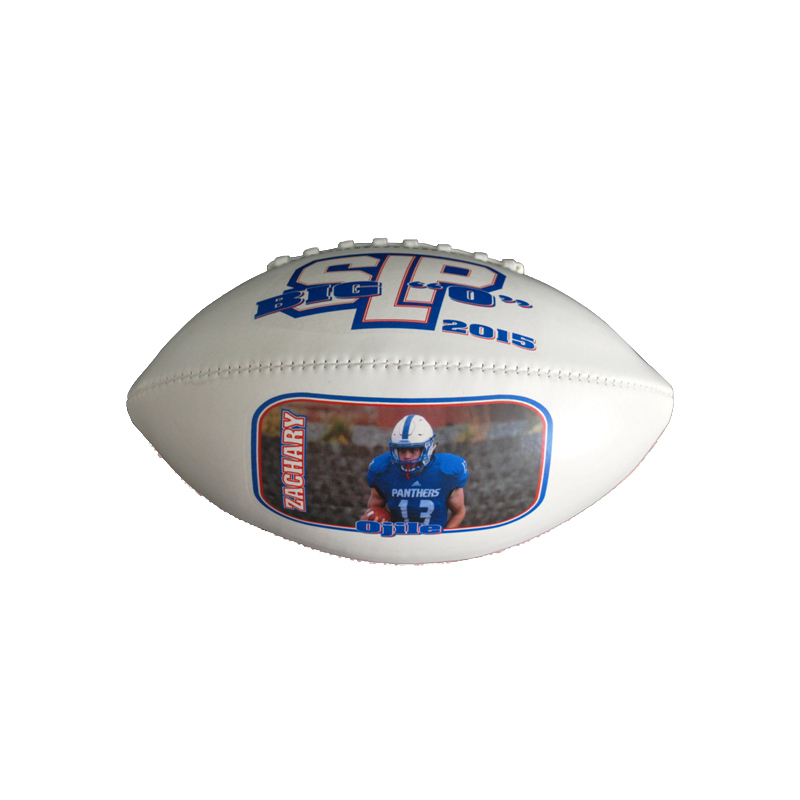 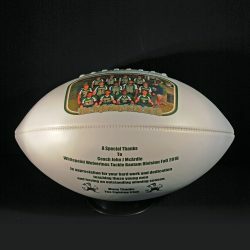 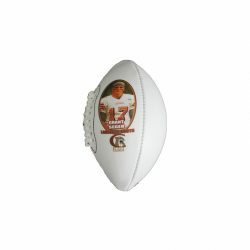 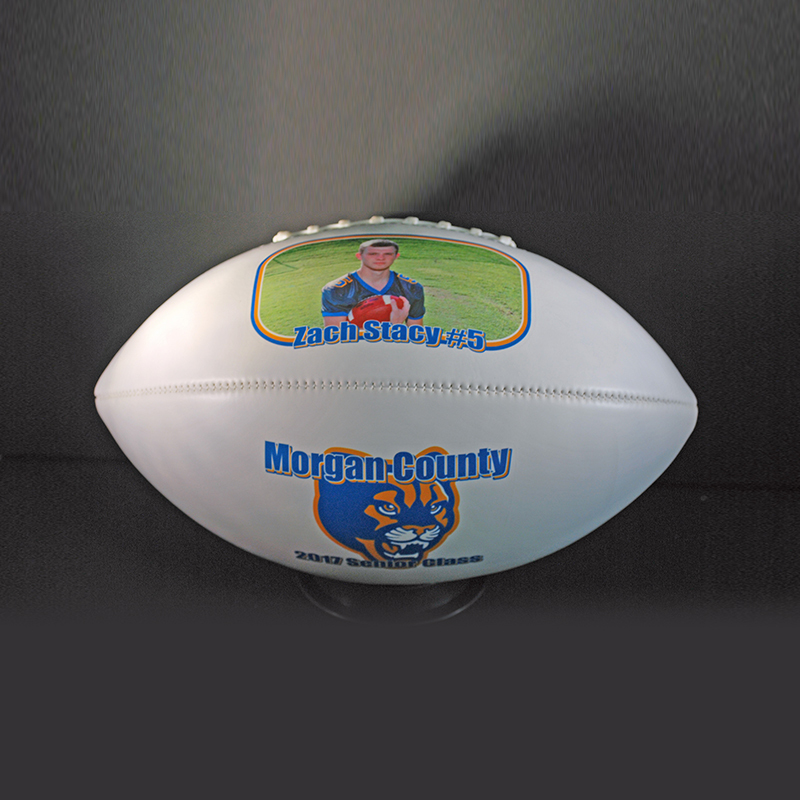 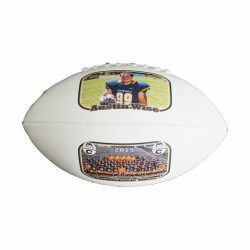 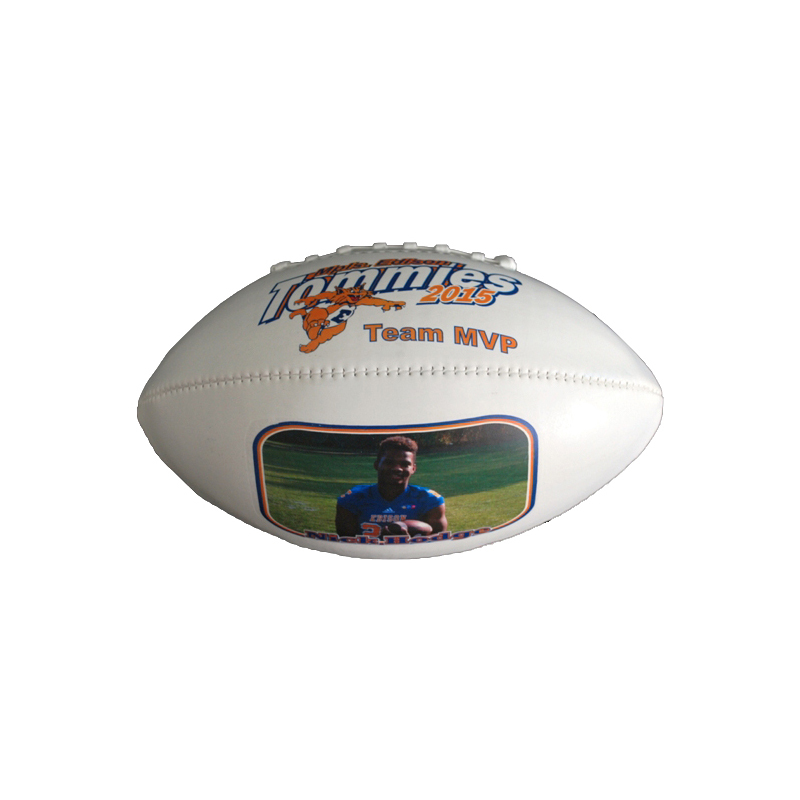 Image taking your player’s action shot, adding your team logo / mascot and topping it off with your team’s colors and displaying it on an authentic football. 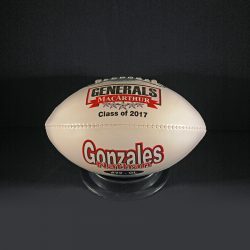 Definitely a ‘picture perfect’ way to honor your senior players as they move forward in their athletic careers and lives. 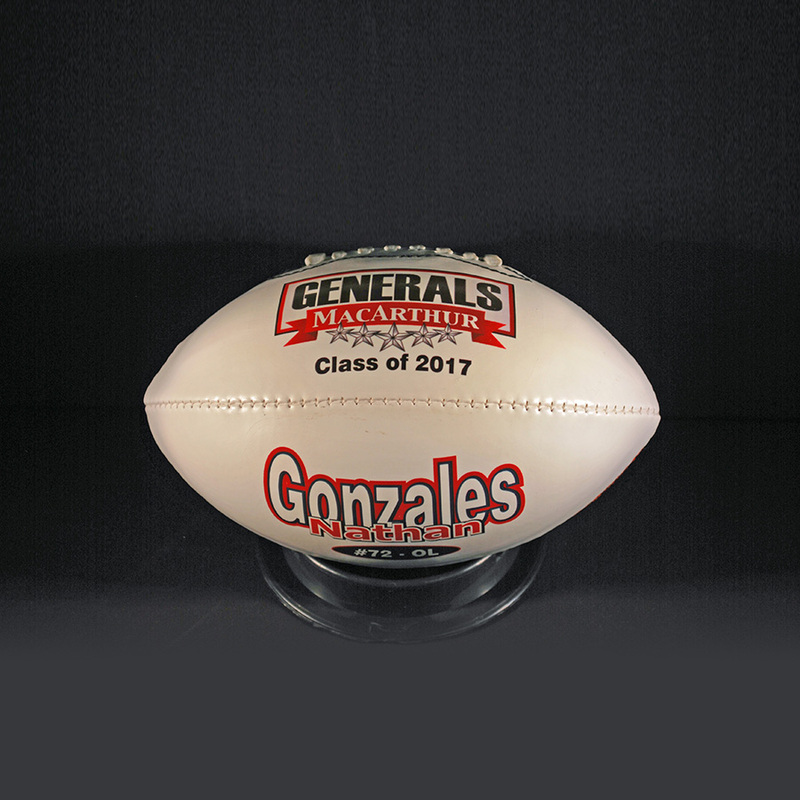 A ‘personalized photo football’ is the ultimate way to say thank you for everything they have given to your team and program….a very unique photo football gift. Quantity quote discounts available for full size , mid size & mini size photo footballs.